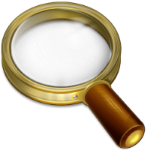 Find articles by searching keywords, browsing categories, tags, authors, and publication dates. Enter text to find articles containing keywords. Select a category below to find related articles. We write about invasive plant management success stories, innovative research and technology, current species management recommendations, and tips and tools for all aspects of planning and implementing an invasive plant management program. We share new resources and links such as recent publications, online tools, informative websites, upcoming events and opportunities. We also provide convenient links to technical information about select herbicide products so readers have access to current label and safety requirements. Select an author below to find articles they have contributed. select a "tag" to find related articles. Select a day or month/year to find articles published then.